Why your church should be hiring Virtual Assistant(s). As a part of a focus this week helping church leaders kick start the new year . 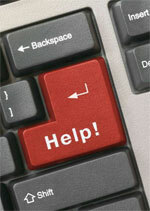 . . this week I’m focusing on hiring Virtual Assistant(s) within the church context. You only have 24 hours in a day. Your job is not to check email, update your facebook status, send out newsletters or proofread the program. We want you to connect with people . . . not spend all your time booking appointments to connect with people. The church needs to help people get into small groups . . . not invest hours updating lists of peoples names. There are people in your church that want to volunteer and are waiting for your to ask them . . . they don’t care how much time you spent on ordering books off of Amazon for next sermon. Welcome to the World of Virtual Assistants. Think about how many tasks you do over the phone or online. All of that can be given to a trusted Virtual Assistant. Want to visit all of your small groups in 2012? . . . you could have a VA work with all those group leaders to schedule times for you to pop in for a quick visit. Heck . . . they could order the snacks and flowers to arrive at the office the day you are going to visit so you just pick carry them out when you leave. What if this sort of service was available for $10 an hour . . . and all you needed was a few hours a week? What if it cost half that much? Would that focus time be worth it to you and your ministry? Why should your church be using Virtual Assistants? Because it frees up your staff to focus on their job . . . seeing people get connected to the mission of the church . . . rather than the administrative tasks. Great points Rich. It may be a difficult to embrace the idea of working with virtual assistants at first esp if its going to be the first time to work with someone you personally haven’t met yet or maybe thousand miles away from you. That’s why you have to find somebody whom you can trust and is already proven to be reliable. Working with a VA means you have to let go of some tasks that you normally do and most of the time, this is a huge step. But letting go is just going to be difficult at first. Once you start earning more time to do more important things for your church, then you will see the value of working with one. I agree, virtual assistants are great way for businesses to save a lot of money and get the most important jobs completed. Virtual assistants save money for companies in so many ways that I think they will be in great demand in the future. This is not a new trend in the business realm. For CHURCHES … it sure is! Since the early days of manufacturing in our country … it has almost been beaten in to us … the 9 to 5 mentality. What if that was a model for last century? What would happen in your church IF … people worked more efficiently (doing more in less time), produced more (in terms of results), and levels of communication increased? Would you give your mind permission to think differently then? Virtual Assistants are a growing trend for churches … glad to see this post by Rich highlight this. interesting concept and worthy of consideration in a culture that is so fast-paced that pastors and leaders have a hard time balancing administrative tasks and ministry related tasks. i am sure most churches would rather spend their money more effectively as well. i agree that finding the right VA is the first step, probably the easier one. letting go is the second step, and that one’s a doozie! Trends // How transparent are we? 3 Tasks Every Church Leader Should Give to a Virtual Assistant Today.